Gonna give a short review on the Vic Elite 2. Only did some short intervals with them, but I’m impressed thus far. Closest feel to the OG Vic that a spike has come, but not quite there yet. Still a major improvement over the previous generation. The upper, although more snug than previous models, is by far the most comfortable I’ve ever had - even surpassing the Mamba 2 in my eyes. Absolutely fits like a slipper and I love it. Nike has outdone themselves with this generation of uppers, including the Streak 6. Looking forward to getting out there and racing in the new Elites. Anyone here want to talk anything about the Japanese market exclusive ASICS spikes? Like SP Japan, RaySprint, or Blade Japan? Really think those are incredible design. Put up some links. I would be interested to see. Actually I know a little about them cuz one of my coaches used to be sponsored by them and mizuno. Their sprint spike are really nice, and my friend has a pair. but they can’t sell them in the states because they all have a couple of these really weirdly shaped fixed pins and that aren’t allowed on us tracks or something. 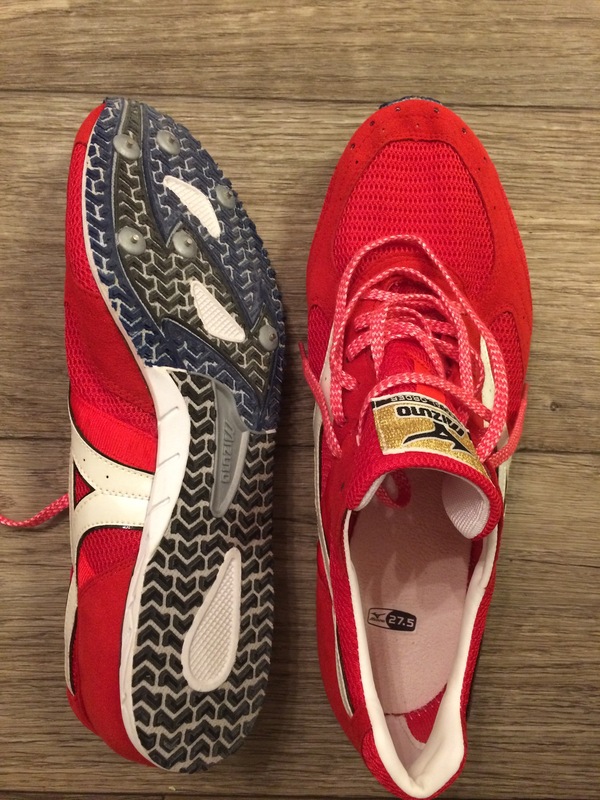 Also the ATC has a really big partnership with mizuno and they get a lot of mizuno gear but never spikes. Hope this helps a little. I don’t know how to upload a pic but your Mizuno spikes are not the traditional Japanese spikes like the Chrono series in Mizuno and SP Japan in ASICS. I just think if I could find a chance to bring these top end spikes to USA with a price $120 or so. I’ve had a few pairs of asics cyberrays, cyberblades, sp japans and a two pairs of the original mizuno chrono breaks. They are very different to the western brands in still utilising cut and sew methods for their uppers. Having said that I really liked them but the major downside to them was that the spike plate went soft relatively quickly, they cost a bucket and I literally destroyed the upper of every japanese domestic market spike I owned. Went soft very quickly? Do you mean the spike plate will not be that stiff after a while of use? Both ASICS and Mizuno? Don’t you have the same situation on Nike and Puma spikes? Yes, the Japanese make very good spikes. These are a special order pair made for the WC’s held in Daegu for a 10,000m runner. They have the similar permanent pins that were mentioned. Correct, they became quite flexible with the mizunos lasting a tad longer than the Asics. I have experienced the same thing with Nike and puma sprint spikes although Nike on average have been substantially more durable than the others. These are expensive. Anyone can tell what is the different when put on these made-in-Japan spikes? I know limited on distance spikes, knowing only they use that many of DSP on the plate to make it looks cool and with good feel while put step on the track. Like how long? I know it’s true that a pebax plate will go softer after a long time use, but there maybe some other reason that brands do not want public know about the plate… so really curious how long will the plate go softer, including Nike, Puma and ASICS. The story I work at carries it. It’s garbage, it’s definitely their attempt at a take down model. And you can imagine what a UA takedown spike is like. The speed form miler is decent but this one isn’t great. These just showed up where I work and I got the chance to try these on along with the UA miler. While they are a little heavy for a spike they have a surprisingly comfortable fit, most likely due to thicker and heavier materials in the upper(especially the tongue), which should also help with durability(but still they are heavy). In my opinion they’re a little too much for cross country with a fairly aggressive forefoot despite how it looks. They have a feeling of extra plastic under the balls of the foot that feels awkward while walking, but feels nice while running(forefoot/mid foot. feels uncomfortable with heel strike). Comparing these to the UA miler, while the UA miler has a more performance driven feel, compared to the JV distance feel of the kick distance. I would prefer to wear these over the UA miler as they feel much better on the foot. 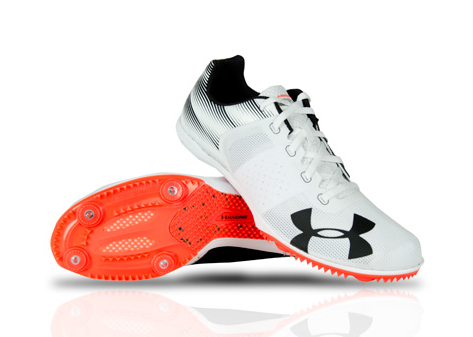 But if searching for cross country I would suggest UA’s cross country spikes before these. Overall there an interesting spike that’s worth a try, but personally I feel there’s better options in the same category. Still props to Under Armour, could be something in a few years. But for now, not something anyone on this site would wear.